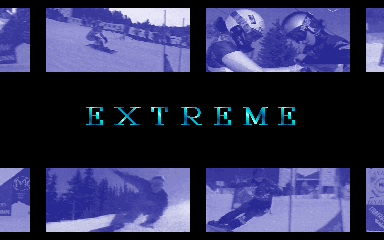 MAME 0.170 has been released over at mamedev.org. 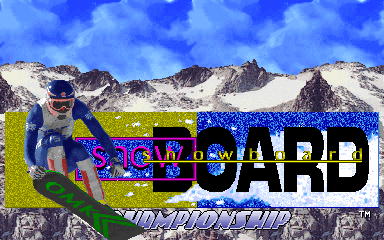 The Snow Board Championship progress shown below is included in the release, although currently still relies on the decryption table (luckily it compresses down really well, to about 60meg) That’s the only really noteworthy thing I was involved in for this release, been a bit busy. The S14001A improvements should not be overlooked, they were contributed by one of the guys who worked on making the original hardware and provide a noticeable improvement in the sound quality for Berzerk etc. 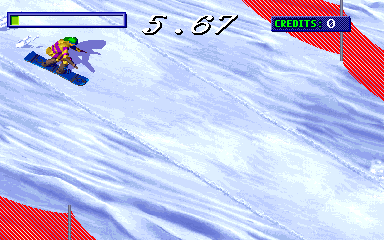 If you haven’t already checked out the ‘Wing Force’ prototype you really should do, such a shame the game never made it to market because it’s a really good take on the general ‘Raiden’ formula. 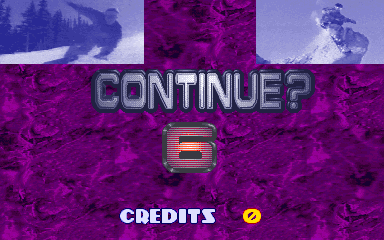 Only real downside is that it’s a bit too easy, and the game hadn’t got to the stage of the dipswitches being hooked up so there’s no way to adjust the difficulty, still, it’s a good fun game, especially for the more casual players who might have found shmups to be already be getting a little difficult by the time. 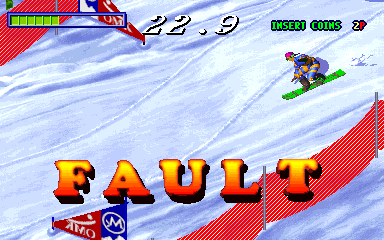 One final important note, the 0.170 release could do with a good bit of testing, some core changes went in that mean some bad code that was ‘safe’ before is no longer safe, and will cause MAME to crash, there were quite a lot of drivers programmed using this bad assumption, and while Tafoid, Mooglyguy and myself have tried to eliminate all the obvious ones with some extensive regression testing the tests we’ve been able to do only cover driver startup, which means that we’re not getting 100% code coverage. If you encounter anything unusual, eg. missing sound, graphics, or just outright crashes that didn’t happen in 0.169 then please let us know, on a project this size it’s practically impossible to test every case ourselves so we are relying on end users. To close this rather short article I’d like to make one final callout to a few people who haven’t yet got in touch with us about relicensing their code. Any code that we do not get permission to relicense will need to be dropped from the project and rewritten, something we would prefer to avoid if possible. The most significant of these is ‘insideoutboy’ who worked on a few drivers with me back in the early 2000s, working on drivers such as ‘Popper’, ‘Car Jamboree’, ‘Flower’ ‘Super Cross II’ and ‘Marine Date’ The only contact information we had for his is an old (no longer active) hotmail account, as well as some also no longer used / active accounts on forums (the old ztnet ones etc.) It seems that nobody has really heard from him outside of the period he was active. There are users on gamefaqs with the same username, but they’ve already been contacted and deny being the same person. To the best of our knowledge he was located somewhere in Australia, so if you have friends there who contributed back in the day who might have gone by that name, please do let them know we’d like to get in touch. 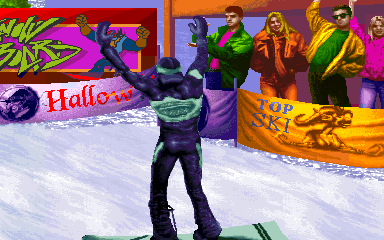 Two other fairly significant ones are ‘Edgardo E. Contini Salvan’ who wrote the driver for Namco’s Toy Pop / Libble Rabble, ‘Enrique Sanchez’ who wrote the Yie Ar Kung Fu driver, and ‘Ed Mueller’ with the Birdie King driver. 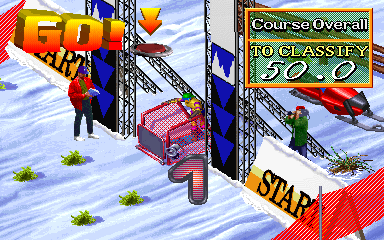 There are a couple of others too, for non arcade drivers, and one or two where where we have contact details we still haven’t tried yet, but if anybody does know for sure who the above people are, and can point them back our way that would be preferable, ideally we’d like to relicense drivers as BSD-3 clause, but GPL / LGPL is also an option. Dropping drivers and rewriting them is a last resort, but if no contact is made we will have no choice but to do that. January 3, 2016 Haze Categories: General News. 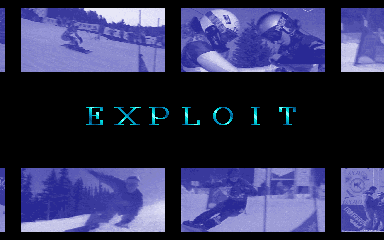 26 Comments on Extreme Sensation Exploit! I was staring to think we weren’t going to get any Snow this year, only rain, lots and lots of rain…. 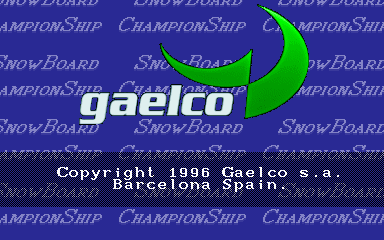 However, even if there’s no snow outside, I can present you with some snow for MAME, in this case the news that Gaelco’s SnowBoard Championship is a step closer to being emulated. 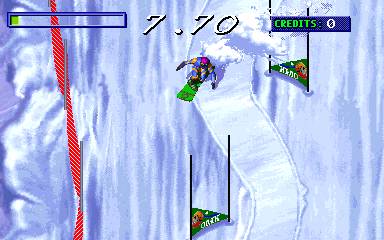 Unlike most Gaelco games which used an evil Dallas protection device complete with suicide battery, SnowBoard Championship instead used a less complex device programmed to do some decryption tasks, and used as protection. 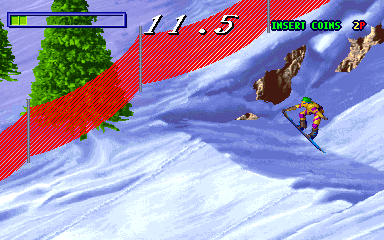 The game was passing various things to the device, like text strings, sample numbers, and some directional direction used by the game, it expected correct data back in order for the game to run properly. 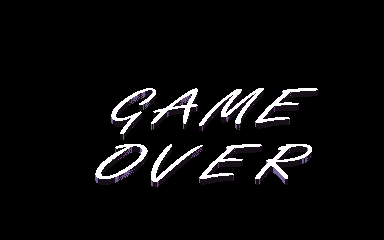 Previously in MAME the game would display corrupt text, hang during attract mode, play incorrect samples and have completely broken controls. The operation of the device turned out to be simple, actually even less complex than I was first expecting. 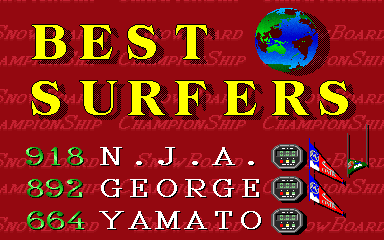 I’d already briefed Charles MacDonald (who purchased a PCB for running our tests) that the game writes 32-bits of data to an address, and reads 16-bits back from another address, and that it uses different pairs of addresses throughout execution, so naturally I was expecting the different addresses to use different encryption schemes, one of his first discoveries was that the address was completely irrelevant, done only to throw off anybody trying to understand it. 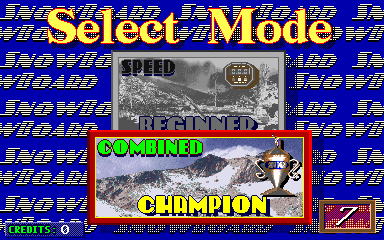 With this knowledge he made a few mods to the hardware and software running on the board to collect the 16-bit results for all possible 32-bit writes the game could make, resulting in an 8GB table. 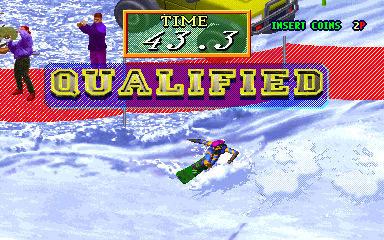 I hooked this 8GB table up in MAME to verify the results and the game immediately started working. 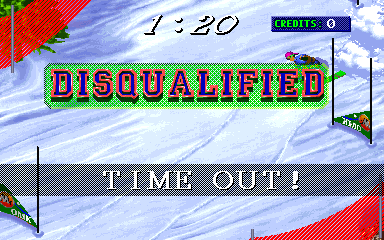 Here’s a video recorded from MAME, it’s recorded using the 2.1 parent set. 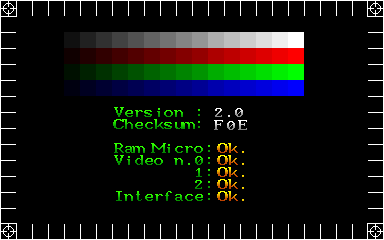 Both the 2.1 and 2.0 sets use the same encryption, so here are some screenshots from the 2.0 set for anybody not wanting to watch the video.